Description: Improving customer experience / customer service has become a key differentiator for many businesses. As product and prices offer less and less of an advantage over your competitors, how your customer feels about you has become the game changer. This presentation builds a rationale tracking business change over the last 120 years to show why customer experience has become a critical success factor for today’s top businesses. As we enter the 21st century product and information systems no longer easily set us a part from our competitors. The Next Final Frontier of the Human Being is the world of experience and emotion, and companies showing early signs of moving ahead of their competitors are those who understand how to create meaningful connections with their customers and clients. This presentation takes a look at the last 120 years, as business has moved from a world where product was king, to a world where information is king, and builds a framework to illustrate that while the traditional measures of business success are as important as they’ve always been, in today’s changing world they simply represent a ticket to the game. Improving customer experience by understanding your customer’s changing landscape will set you apart today and into the future. 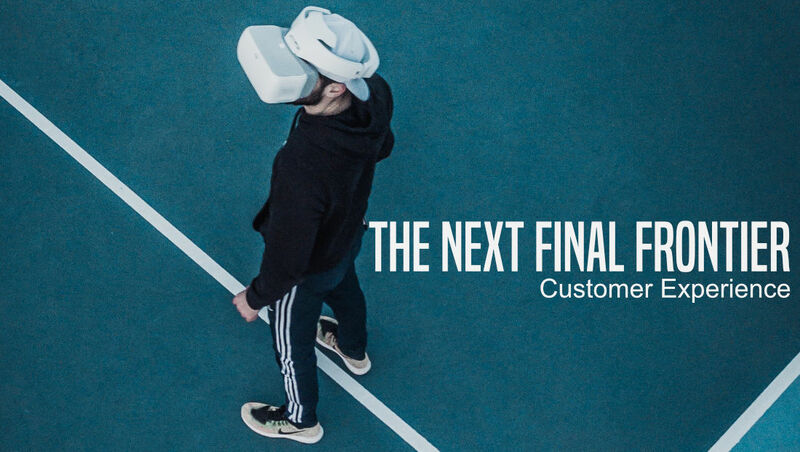 If you’re going to differentiate yourself from your competition you must begin to focus on the Next ‘Final’ Human Frontier –> the world of experience, emotion, and connection.